Happy Monday to you! Did you have a good weekend? I spent most of the weekend with my nose in a book…the Trim Healthy Mama book, to be exact. If you caught my scope about it last week, you know that we (my husband and I) are starting the plan to get rid of this extra weight once and for all. The only thing I think know is going to be a big challenge for me is giving up sugar. When I sat down and calculated how much sugar I was eating….well, it pretty much shocked me. No wonder I’m having trouble losing weight! But I’ve ordered some plan-approved sweetener and baking mix, and found some stevia at Aldi, so I’ll have a little help while trying to break my bad sugar habit. We tried some of the stevia last night in tea, and it was good…not great, but acceptable, so I’m hopeful. It’s just really good to know that everything is all-natural and not fake and chemical-laden. 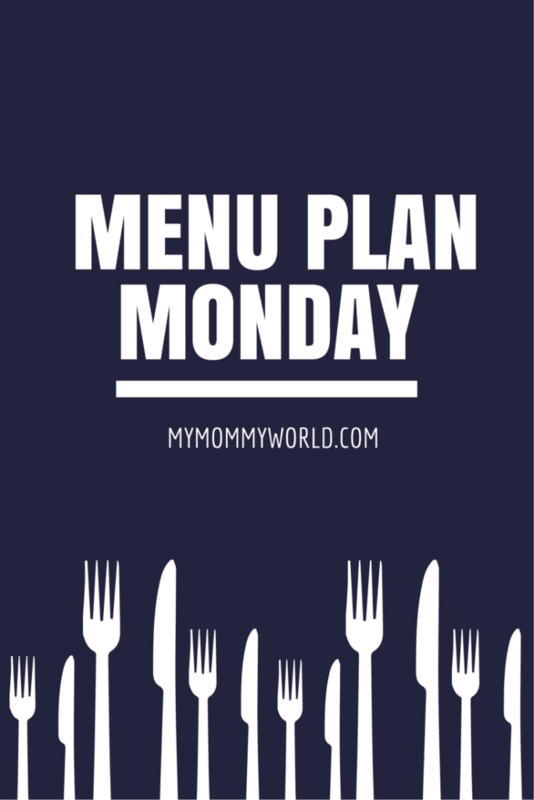 If you need help planning your own menu, check out my menu planning for busy moms post, and the free menu planning printable. There are also a lot of dinner ideas over at the Menu Plan Monday link-up at Org Junkie or my Yummy Dishes board on Pinterest. Your menu looks delicious, Erin! 🙂 I drink almond milk in my coffee every day, and while I like the vanilla almond milk, I also like the plain original almond milk, too. My son likes almond milk with his cereal while most of the other kids prefer rice milk. I think I’m going to have to get used to the almond milk…I didn’t hate it, but it’s definitely different than half and half. My husband likes it on his cereal, especially because he is lactose intolerant and regular milk makes his stomach hurt. I hope this week goes well for you eating the Trim and Healthy Mama way. It all sounds really good. I am stopping over from Org Junkie I was doing good watching what I ate early in the summer but then we started traveling and I have not done good since. I do way too much snacking. I have a meal planning Pinterest group board and I am looking for contributors. Snacking is my downfall too, especially when it gets to 3 or 4 in the afternoon. And although I have only been on the THM plan for a day and a half, I haven’t been hungry at all because I’ve been eating a lot more protein and fat than usual (I’m usually eating bad, sugary carbs).